“The Dark Knight Rises” has fallen. With $376 million in the bank domestically, the Chris Nolan caped crusader finale made just $5 million on Friday. It fell to third place, behind “The Bourne Legacy” and “The Campaign.” “TDKR” may have finally started exhausting its theater audience after 22 tumultuous days. It should still cross the $400 million line as it begins descent from the top, however. The big box office news is that Sony’s counter programming gamble with Meryl Streep in “Hope Springs” could pay off. The film opened on Wednesday and has almost $10 million in ticket sales. Friday night accounted for about half of that. If it holds up tonight and Sunday, “Hope Springs”–with Tommy Lee Jones and Steve Carell–could be a nice little hit. Then Sony will bring it back out for Oscar consideration, with nominations going to Streep and Jones at least. What a pleasant turn of events. Sony’s Amy Pascal can sleep tonight. Streep has a lot of good will built up. And audiences who are depending on that have found an excellent film. Meantime, “The Intouchables” has crossed the $6 million line. 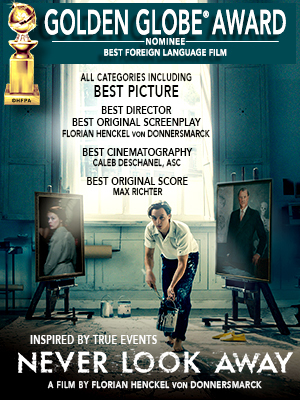 It’s the odds on favorite for Best Foreign Film. And Omar Sy is going to be a player in Best Actor races. He’ll be in there with Daniel Day Lewis and a bunch of maybes like Denzel Washington and Tommy Lee Jones himself. "Good Afternoon America" is A Bust, off 70% from "One Life to Live"